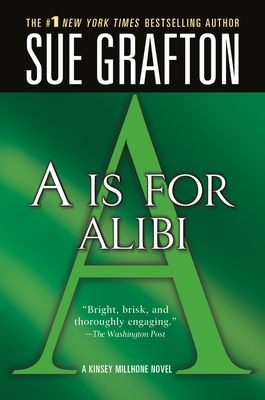 #1 New York Times bestselling author Sue Grafton (1940-2017) entered the mystery field in 1982 with the publication of 'A' Is for Alibi, which introduced female hard-boiled private investigator, Kinsey Millhone, operating out of the fictional town of Santa Teresa, (aka Santa Barbara) California, and launched the bestselling Kinsey Millhone Alphabet Mysteries. In addition to her books, she’d published several Kinsey Millhone short stories, and with her husband, Steven Humphrey, wrote numerous movies for television, including “A Killer in the Family” (starring Robert Mitchum), “Love on the Run” (starring Alec Baldwin and Stephanie Zimbalist) and two Agatha Christie adaptations, “Sparkling Cyanide” and “Caribbean Mystery,” which starred Helen Hayes. Grafton is published in 28 countries and in 26 languages.